Saying goodbye to freshman year means saying goodbye to horrible dorm living. Some freshmen were blessed with Simmons while other struggled in Pinchot. As you leave your freshman year behind, you’re faced with a whole new struggle: apartment shopping. Living downtown is not cheap and with so many options it’s hard to find which one is the best for you or if you’ll even be able to score an apartment before they all sell out. 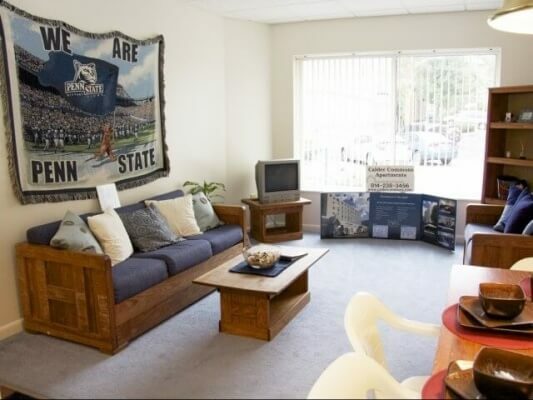 It’s a Nittany-Lion-eat-Nittany-Lion world in State College when it comes to finding the perfect apartment, but if you play the game right you could luck out. The Meridian is a popular choice. It has three buildings and a White Loop stop right outside so you can catch the bus and make your way to north campus and west side easily. Its one-bedroom apartments start at $1,234 and two bedrooms/two baths go for around $2,645, plus they offer multiple different apartment layouts to choose from. The Meridian also has a state of the art fitness center and access to tanning beds that’s included in the rent. Unfortunately, the complex is about one block east of campus, so you’ve got a bit of a walk to your classes. However, if you can afford a car and would rather drive, the Meridian offers parking spots for an additional $960 per year. “I like living at the Meridian because of how nice the apartments are, but the walk to campus for early classes can be terrible, especially in the winter,” said junior Olivia Matthews. Conveniently located right in Frat Row, The Legend is never a far walk to the parties. The Legend is only a two-block, downhill walk to campus. Renters have seven different apartment styles to choose from, with one-bedroom apartments starting at $1585 and two bedroom/two baths at $2900. The Legend is a little pricier than other apartments downtown but it’s also known for being very nice and it has an on-site fitness center, which equates to more bang for your buck. They also offer renters downtown parking starting at $800 a year. “I love our balcony and having two bathrooms for five girls is amazing. The location is perfect because you’re close to campus but also in the middle of downtown so nothing is too far away,” said junior Courtney Rodgers. 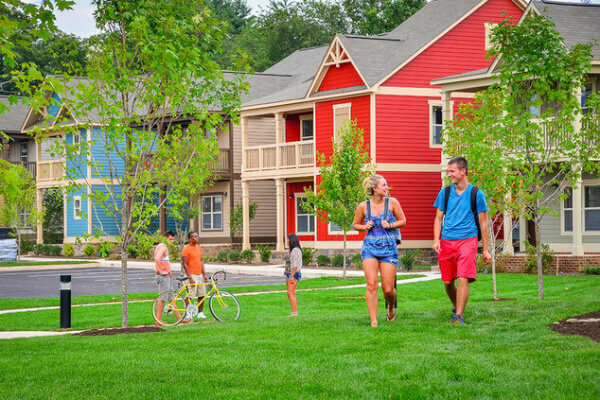 By far the largest apartment complex on the west side, The Palmerton is another popular choice for students. “The apartments are nice, spacious and clean and the walk to campus isn’t bad at all,” said senior Sara Preciado. Another perk is the Dunkin’ Donuts one block away, making the morning coffee runs *that* much easier. 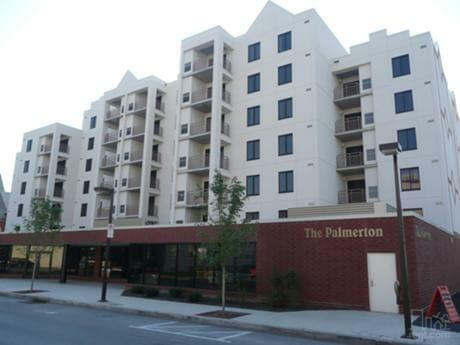 Palmerton apartments can be pricey; one-bedroom apartments go for $1,599 and two bedroom/two bathroom for $2,884. 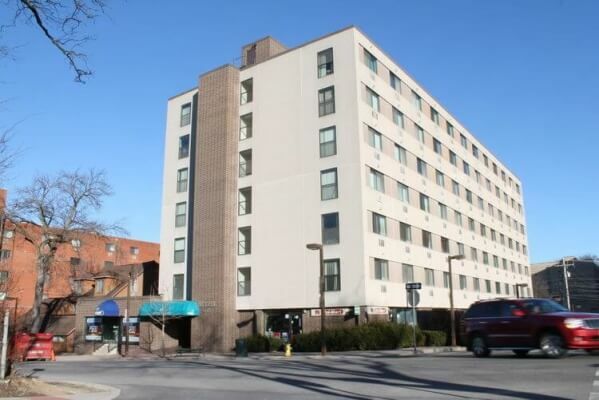 Despite the price, the Palmerton is a good choice for students; it’s one block from west campus with easy access to buses to take you wherever you need to go. “I like to live here [because] it’s always clean, the apartments are new and there is a gym and study room in the building. The security and front office people are nice and we’ve never had a problem with fines or legal issues for having parties,” said sophomore Emily Davis. Calder Commons is owned and operated by the same company that runs The Meridian, so you’re getting essentially the same style apartments with the option for downtown parking. However, with Calder Commons you’re much closer to campus being located in east Calder Alley, a half-block away from campus. Calder Commons is right beside the ever-popular Are U Hungry and McDonald’s so it’s a good option for the drunchee lover or late night snacker. To work off all those late night calories, Calder Commons offers free fitness center access to renters. Because Calder Commons is closer to campus it is more expensive than The Meridian with one-bedroom apartments going for $1,580 and two bedroom/two bathroom for $2,865. Being the more luxurious option for students, Campus Tower apartments have three or four bedrooms, allowing every renter their own room. However, the price to have your own room is steep. Three-bedroom apartments cost $2790 and four-bedrooms are $4135. Campus Towers is located right above McLanahan’s, making your grocery shopping easy and the apartment is less than a block away from campus. Nothing beats location and the privacy of your own room—that is if you’re down to dish out about $1,000 a month. The biggest perk to living in Nicholas Towers has to be having a Pokey Stix right across the street. Despite the fact that, according to Apple maps, it’s a 7-minute walk to campus, Nicholas Towers is surrounded by everything you could need. With a Quik n Fill on one side, a pizza joint on the other and Frat Row behind you, you never need to travel far (besides for classes,that is). Every apartment has its own balcony too, perfect for summer nights and parties. “It’s nice because you have your own huge bathroom plus you can throw parties with almost zero repercussions,” said sophomore Gaurav Pandey. 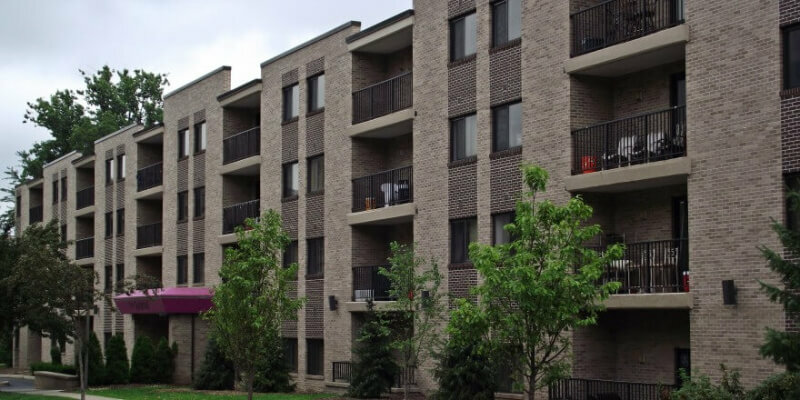 Nicholas Tower apartments are well sized, with big kitchens and sizable bathrooms. One-bedroom apartments are $1,532 and two bedrooms/two baths are $2,885. Unfortunately, parking is a first-come-first-serve basis, so you’ll be stuck walking most of the time. At least that lets you burn off all those pokey stick calories. Park Forest Apartments are scattered all throughout downtown. 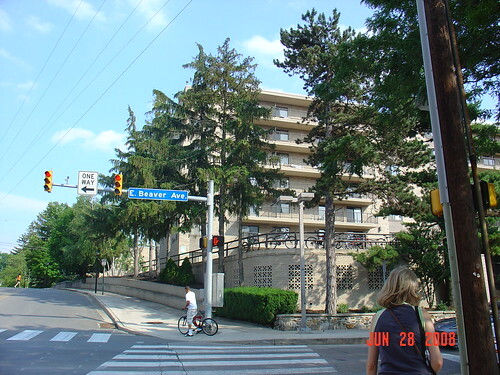 They’re literally little hole-in-the-wall apartments; some can be found above Irving’s and others are houses with every room turned into individual apartments. You walk past them every day without even realizing. To get an apartment through Park Forest you either have to know the realtor beforehand or know somebody who’s currently renting. Their apartments are perfect for people looking to live alone or with just one other person. One-person apartments are $500 and two-person ones average $900 a month. 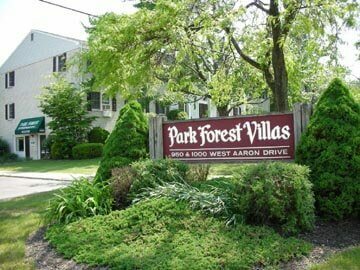 Park Forest even provides parking to renters for only $70 a month. Though PFE may not be a big name downtown, the apartments are certainly not to be overlooked. “Park Forest Enterprises has always been extremely reliable and respectful of my requests. I’ve never had a problem getting a hold of them and they are always friendly to speak with,” said senior Shannon Kenyon. The phrase “I walked uphill both ways” is too true for those living in Beaver Hill. Located at the top of S. Garner street just one block from campus, students endure the dreaded walk up Shortlidge to class and then another dreaded walk up Garner to get home. Beaver Hill is surrounded by Frat Row, Chipotle, plenty of fast-food places and McLanahans. 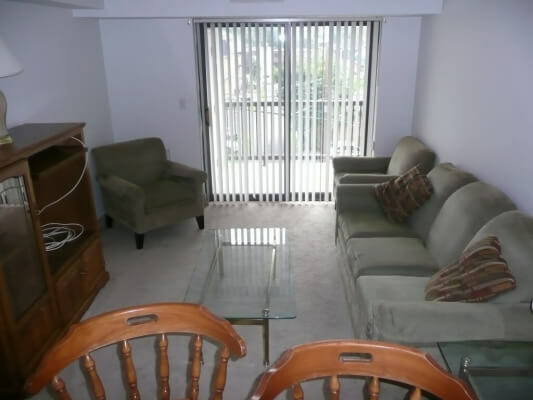 Beaver Hill apartments are also very big and spacious. One-bedroom apartments are $1,178 and, while there are multiple two-bedroom floor plans to choose from, the standard two-bedroom/two-bathroom layout goes for $2,865. Included in your rent is access to the fitness center on the first floor. It’s not the cheapest option, but you’re paying for the location and convenience of living just one block from the center of campus. Beaver Hill residents have their own private parking lot, if they’re willing to pay the additional $1,080 per year. For those who can’t, there’s a CATA stop right out the front door to take students where they need to go. There’s such a huge demand for Beaver Hill living that if you want to land an apartment, you’ll have to camp outside AW & Sons come lottery day to hopefully get a spot. “The price you pay to live in Beaver Hill is for the location—it’s a short walk to campus and close to everything you’d need downtown,” said junior Diamond Fair. The name is not deceiving. The Retreat is a neighborhood of cottages. Your monthly rent includes access to a resort-style pool, racket club, fitness center, salon and spa, gaming lounges, PGA golf simulators, the “clubhouse” hangout and a lush green courtyard. Renters even have their own room. Despite the fact that The Retreat is located a bus ride away from downtown, every “homeowner” is guaranteed one parking spot so you’re not spending an arm and a leg to keep your car at school. If you don’t have a car, there’s a CATA bus stop right outside The Retreat’s entrance. For all of this, students only pay around $895 a month. “The prices for rent are super reasonable. The location is perfect; it’s directly across from Redifer, so I still use a meal plan. The apartments have open kitchens that make it feel way more spacious than it actually is,” said sophomore Matt Monaghan. “My favorite thing about it is the location on College Ave. I’m close enough to campus that it isn’t hard to go to class but I’m far enough away from all the cluster of the middle of town.” Just across the street from campus, with a Uni-Mart in the basement, Hetzel Plaza is convenience. Midnight snacks and other essentials are just an elevator ride away, and walking to campus is a breeze. 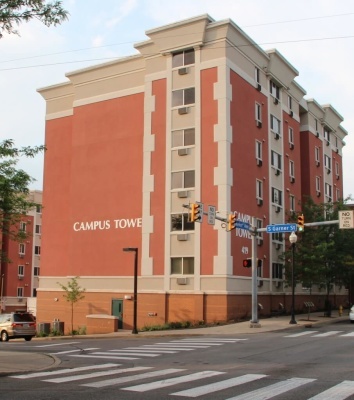 Hetzel Plaza is also known for the quality of their apartments; for only $2,450 you can score a two-bedroom/two-bathroom, nice apartment. Because Hetzel Plaza is owned by ARPM, renters also have the option of buying parking spots downtown from $800 to $1,400 a year. Being so close to campus, and next door to multiple fast food joints, Hetzel Plaza is the #1 choice for students.